On Saturday, I had the privilege of speaking at attendee presentations on Day 2 of the Front End Design Conference in St. Pete (another blog post is forthcoming to share my thoughts about the conference). 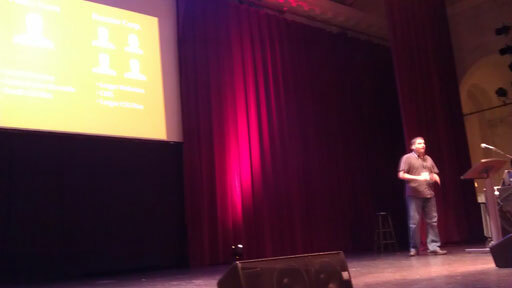 We got to present on the same stage as the main speakers had on Friday at the Palladium Theater, which is an awesome venue. The subject of my talk was little known CSS Selectors that I have found to be powerful tools when working with CMS markup. It was an expanded version of my post, The Power of the Plus. I was encouraged by the feedback I received from other attendees. My talk served its purpose and inspired many to take a look at these lesser known CSS selectors and how they could provide creative solutions to the problems we are asked to solve. Overall it was a great experience and I am glad that I took a step out of my comfort zone.